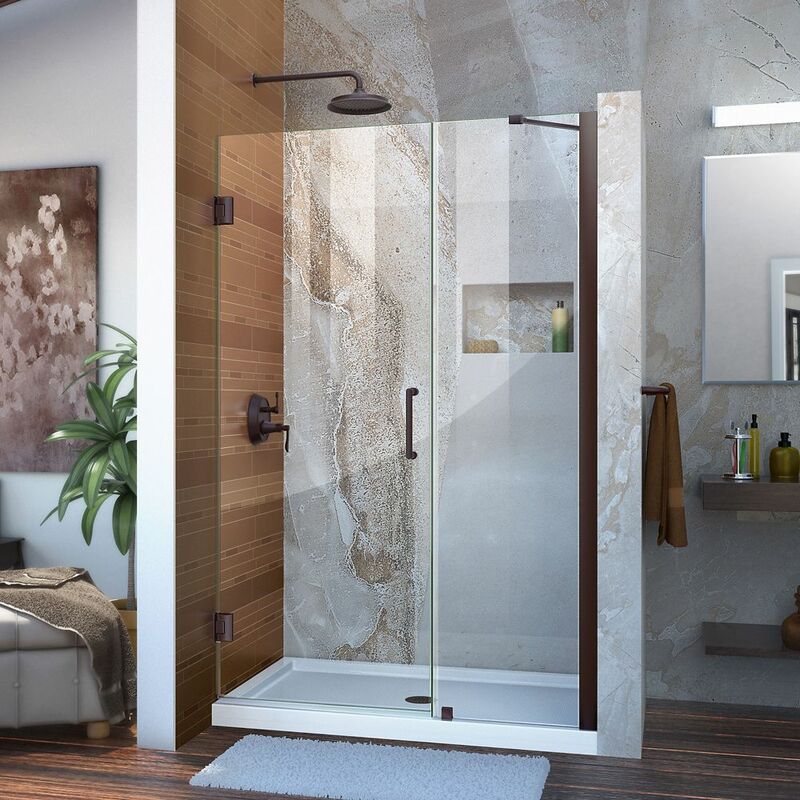 Unidoor 45 to 46-inch x 72-inch Frameless Hinged Pivot Shower Door in Oil Rubbed Bronze with Handle is rated 4.3 out of 5 by 4. Rated 5 out of 5 by mermaid1 from looks great! Really nice shower door! I was told it was a bit of a challenge to install and takes two people to do it.